Three whole days well spent. That’s how I describe my expedition to the City of Love – Iloilo from August 23 to 25. I was invited to join a startup founders event, an ICT council assembly and a regional ICT event. As usual, in chronicling my expedition, I post on FB. And below is a compilation of all my posts with pictures. I really enjoyed the exchanges this afternoon at the Iloilo Startup Founders Circle (ISFC) business consultation forum. Especially the really candid questions coming from the startup founders from corporate contracts to tax and accounting systems to profit-sharing, intellectual property issues, copyrights, patents, inventions, corporate existence and sustainability, marketing, sales and promotion and dealing with government as clients. ISFC is composed of Tech Startup Companies that are duly registered as a business entity in Iloilo. Its primary goal is to help each company achieved growth through capability development trainings, access to fund, participate in domestic, national or international trade fairs, mentorship and many others. The Iloilo Federation for Information Technology (IFIT) and the Green Technology Business Incubation invited us as Business Experts for these budding companies in the field of Management, Sales and Marketing, Legal, or Intellectual Property. Kudos to the City Government of Iloilo, the Global Shapers Community Iloilo, the Department of Trade and Industry, the Department of Information and Communication Technology, the Green Technology Business Incubation and the Iloilo Federation for Information Technology for initiating this great event. I learned much from my other co-panelists especially on the aspects of intellectual property such that in the coming months we should also have an IP forum for Bacolod startup companies. 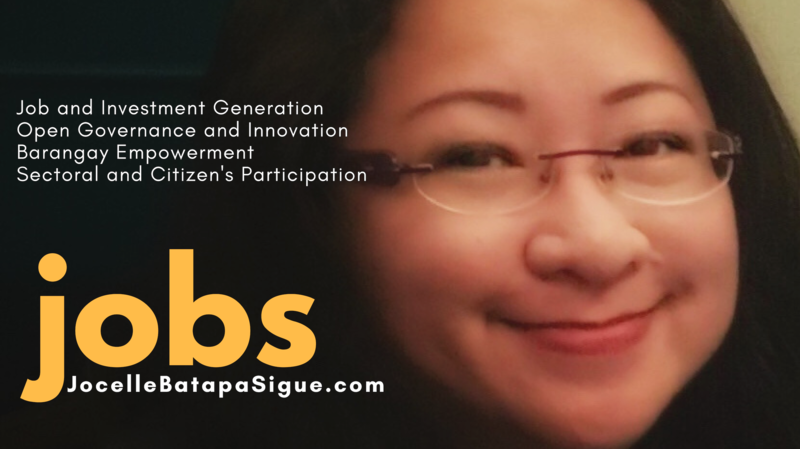 I emphasize my advocacy on really trying to educate and influence local governments in the Philippines to tap into the very rich resources of ideas of startups in their the community and take advantage of these ideas that are grown into businesses to solve pain points and problems of LGUs. I also encouraged the companies to step up and professionalize their ranks so that they can deal with both public and private clients. There is a huge need for solutions today more than ever before because of new laws that impose upon local governments the automation of their systems in order to make them more efficient and citizen friendly. The Ease of Doing Business Law in particular requires local government units to conduct an audit of their existing systems and discard the ones that are already obsolete and only cause delays in dealing with citizens and clients. This is an opportunity for start ups the present their solutions and to also help solve social concerns. I cited examples of some Asian countries which support startups by encouraging local government units to purchase of their system requirements from startups. I also started the need for LGUs to create ordinances that will ease up requirements for start up companies in order for them to transact business with the government. Needless to say the need for creating a conducive ecosystem for startups in every city is a must if we are to encourage innovation. The most important thing for me is that these young startup founders are actually creating jobs and opportunities for their fellow young people in their own cities. I hope ICT avocates in the countryside spare a few minutes to read this post. My attention span these days for people who have nothing innovative to say is really short, and I usually avoid long conversations these days. But these guys just made my jaw drop today. I chanced upon three founders at the Green Technology Business Incubator – WVSU. They have amazing stories which represent the stories of other startup founders in the countryside. I love to listen to them and the values they embody. ARKiTEK is inspiring and impressive, they use IOT, a lot of stuff, barangay system, passenger terminal system, traffic and road load monitoring, air quality monitoring, using IOT technology, sensors, data analytics, a social media “collaborative” platform that’s even way higher than Facebook – and my goodness – they are a father, mother, children tandem. Sherwin the father told me their front-end and back-end developer only Grade 7 and the rest is homeschool. Simply awesome!!! The second startup is CodeNBrew Inc., founder Ryan Dejando Biñas said his team can develop android and IOS mobile applications but his goal is to make the system affordable, relatively cheap even for MSMEs and his passion is to train as many students of the skills he developed, having worked for years as an IT professional in Singapore. Even as a young startup founder Ryan invests in young programmers to learn new industry skills. Truly inspiring. The third is Mulave Studios, they are just two months old, a team of creatives, all front-end at the moment. Michael Lamera Labos its founder is so optimistic about stepping up into animation, game design and complex creative services that I really felt inspired to offer to link his team with Holysoft Studios, Audacity Studios and SWAPROSE in Bacolod. I feel so positive about Michael’s humble aura of really wanting to harness the creative potential of his team. This sharing is like a tenth of what I really learned from these three founders. I needed to reassure them that all over the country, there are startup founders like them, who struggle everyday to scale up. That’s why I really need to lend a voice. God made me a lawyer, so that’s the only way I can help them, but I have accumulated years of insights from big companies down to the smallest barangay, and so in my own little way, I can help them polish their strategies from the lens of law, policy, political, academe and social angles. Michael, Ryan and Sherwin are part of rhe newly created Iloilo Startup Founders Circle. There are more than ten other founders and I missed them during my vist today, but I am sure their stories are inspiring, too. The Green TBI is supported by DOST and WVSU, and now by IFIT, the Iloilo LGUs, DTI, DICT and many other stakeholders. One of Visayas ICT Cluster (VICTOR) major thrusts is to develop technopreneurship. We have a lot of work to do but faith will help us through. Honored to be speaker and inducting officer for IFIT assembly today! Congratulations to the newly elected officers of IFIT 2019-2021. Comebacking president Jessraf Palmares, and the elected board – DOST, UP Visayas, ISAT University, Transcom, Teletech, Startek, IXL, Hinduja Global Solutions, WNS, Iloilo City and Province of Iloilo. Great work ED Joeven Tansi! Sharing some snapshots of my slides on “Empowering Technical Professionals in the Countryside” this morning at WordCamp Iloilo. VISION: A digital Philippine countryside powered by Filipino talent with Future of Work skills to push the Philippines among the world’s most future-ready nations for the Fourth Industrial Revolution. Met Isaac from Ghana and Lax from India, both young tech-professionals and founders of their companies at Wordcamp Iloilo and I am inspired by their sincerity to help improve digital skills of Filipino talent. Will certainly be inviting them as mentors for our hackathons. Had a great time in Iloilo with my best buddy, Im-Im. Thanks to IFIT, DICT Visayas Cluster 1, Iloilo Startup Founders Circle, the Green TBI at WVSU and the Iloilo WordPress Community. Until next time.